Free and reduced price meals are available to students who qualify. Families that satisfy the income standard prescribed under section 9(b) of the Richard B. Russell National School Lunch Act (42 U.S.C. 1758(b)) will qualify for reduced-price, or free-price school meals. Under section 9(b), the income limit for reduced-price school meals is 185 percent of the Federal poverty guidelines, as adjusted. Section 9(b) also requires that these guidelines be revised annually. The income guidelines can be found on school meal applications. Your child may qualify for free or reduced price lunch. 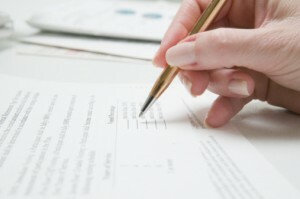 There are two options available for applying, online or with a paper application. Please see these options below. Applications must be submitted annually. Free and Reduced Price Meal Applications may take up to 10 operating days to process. 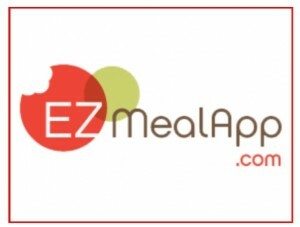 Apply online at EZMealApp.com. For any questions please also refer to the EZMealApp How to Guide. Online meal application processing is the easiest and will result in faster processing. Apply with a paper application. Applications are available at your child’s school office, school cafeteria, or through the district office. If you have any further questions regarding your free or reduced price application please contact the Child Nutrition Department. Parents will be notified by letter once the application has been processed. Students not on the free or reduced price program will be charged for lunch until the meal application is processed. Households will be responsible for all meals charged prior to being approved for free or reduced price meals. Families may apply or reapply at any time during the school year, so if you are not eligible now, you may apply or reapply if your circumstances change that might then qualify your child(ren) to receive federal meal benefits. Completed applications bring additional funds to the District in the form of grant money. Dollars that come from the state and federal government for prevention programs, parent training, extra help for students with reading, math, and other assistance is often based on the number of students qualified for free or reduced lunch. It is important that all parents who qualify (according to the Income Chart shown on the application form), whether or not they choose to participate in the lunch program, apply for meals. The higher our count for free or reduced price lunch, the more dollars generated for student and parent programs within our District. All information provided will be kept confidential.